My friend and fellow knitter, Jenny, asked me to knit up a little new-born set for another friend, seeing as she was running behind on life at the moment. 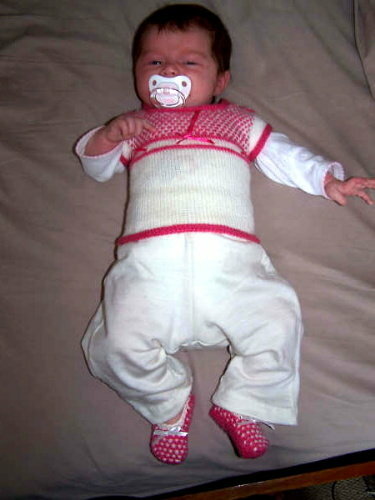 She really wanted to do the Petit Chou from SockPixie, which is the cutest little 4-ply top and booties set. So Jen sent me the wool, and several weeks later, Voila! Here is little Miss Nina modeling them. Isn’t she so cute! 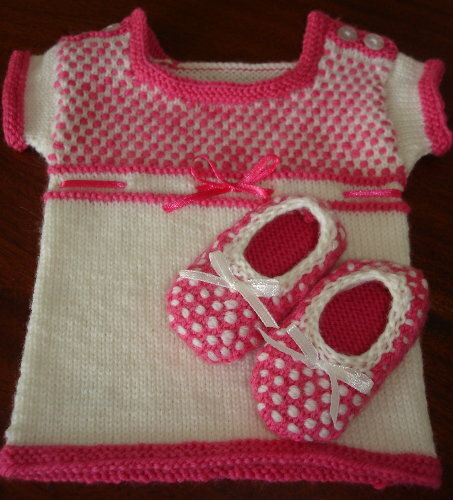 I did find that I had to pick up extra stitches on the sleeves as well as on the top of the booties. 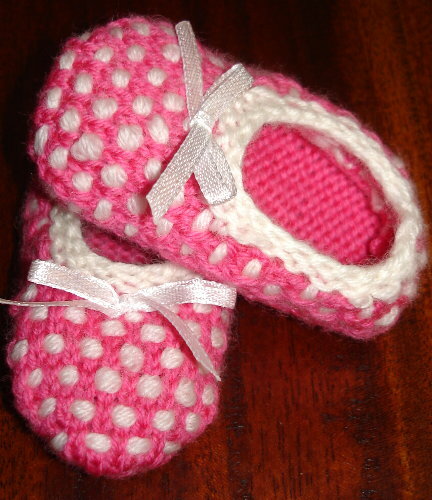 But they came out nice and I am so pleased they fit the little chubba girl.